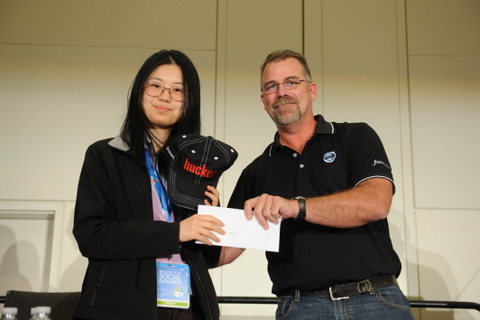 This year’s Dreamforce Hackathon was more exciting than ever! With over $23k at stake, developers form all over the world descended onto Moscone West on September 1 to pitch their apps to the judges with the hopes of placing in the top three to take home the most lucrative prizes. The challenge was to build a social enterprise app built on or more of the following: Force.com, Heroku, or Database.com. Forty-eight teams registered starting on the Friday before Dreamforce and had roughly six days to code. 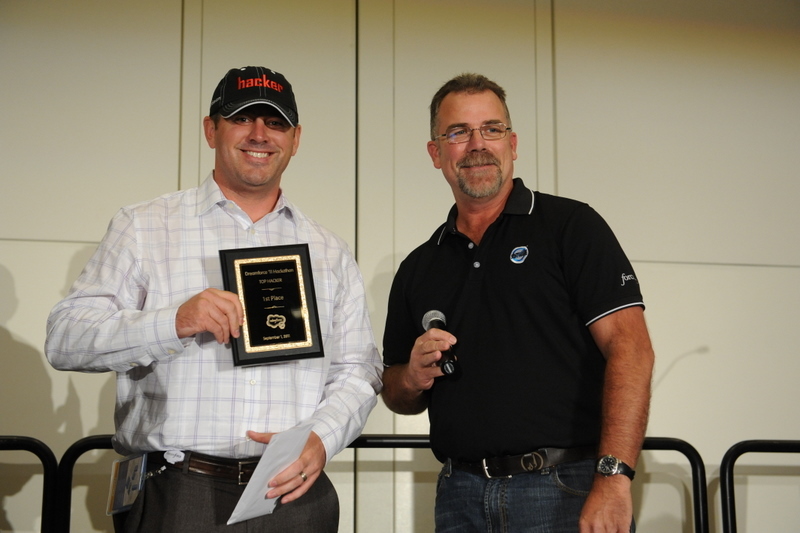 Many, however, did not even find out about the contest prior to arriving at Dreamforce. This did not deter the creativity and deft programming skills of our second place winner, who only worked on her app for two days. In the end, 17 teams presented at the Hackathon Finale, with Kyle Roche of DemandResults taking home the top prize for his impressive demonstration of his call center management app, ringDNA. Kyle wowed the crowd by asking audience members to dial into his app, whose names promptly appeared on the screens at the finale for the most interactive demo of the day. Congratulations, Kyle! Prizes for the top three winners were $10k, $5k, and $1k for 1st, 2nd and 3rd, respectively. 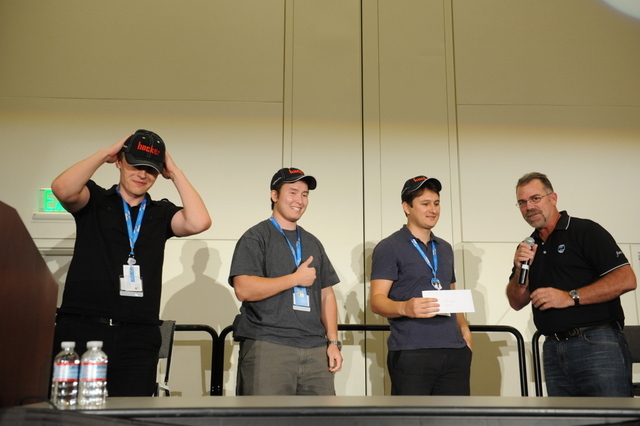 Our partners sweetened the pot by offering prizes of $1000, while the exclusive Hackathon Partner, Twilio offered $2500. One lucky team from Comity Designs “double-dipped” by placing in the top three AND taking the Gnip prize. Entry: SocialVoxels, a 3D Location Based Service app on iOS and Android that, beyond check-in statistics, expresses the creativity of a venue’s visitors and regular’s. Entry: Enterprise Mood Monitor, an app that provides real-time and historical information about the emotional health of the employees. Thanks to our esteemed Judges! Finally, a very special thanks to our exclusive hackathon sponsor, Twilio!